Most wine shops have over 30 Spanish wines under $10.00. If you have no idea what wine you are looking for, pick any one of these wines and you have a good chance of finding something drinkable. A Vintage Port is declared only in years when the grape crop in Portugal is exceptional. It usually happens about 3 years per decade. Thus far this decade, the 2000, 2003, & 2007 have been declared vintage years for port. It is expected that the 2008 vintage will join those ranks. 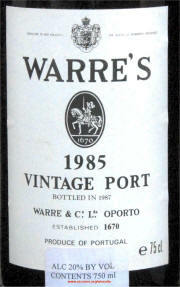 Vintage port will age for many years and although pricey, is something well worth trying. 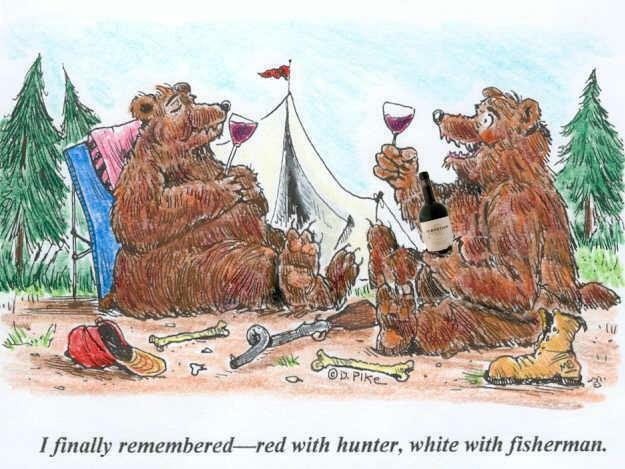 It’s unusually different from other wines and delicious, too. England’s Prince Charles was recently in Canada and while at Niagara College for a wine tasting described the wines of that area as “brilliant”. 90% of all wine produced in the USA comes from California. In the United States, for a wine to be labeled by its varietal name, i.e., Chardonnay, Merlot, Pinot Noir, etc, at least 75% of that grape must have been used to produce that bottle.